On January 19, 2013 Matt Cutts spilled his guts on the latest algo update. How does it impact you? More than you think if your search engine listing text content varies from your actual site content. It’s about bait and switch search results. We’ve all been there. Searching for my son’s next baseball bat for this spring should bring up what? Duh, bat sites. Maybe Amazon. Or Dicks Sporting Goods which is a local biggie around southern Maine. What shouldn’t display according to Google is a list of sites with nothing but adsense ads on them. Google is pretty finicky about relevancy. Actually, they are fanatical about it. 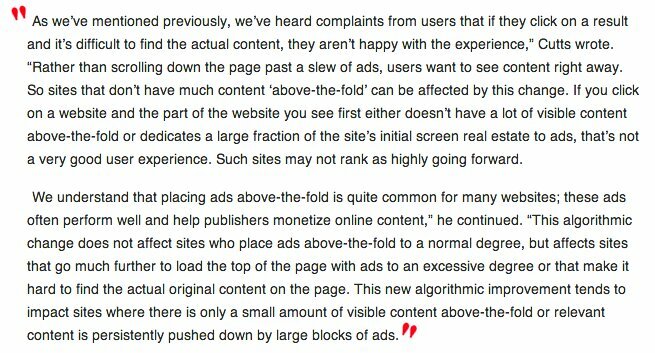 The algo update now penalizes sites with too many monetized offers above the fold (the upper half of your site). Think top-left and down as your primary relevancy goal. But go easy. Going full scale with too many banners or offers will result in a Google penalty. Also note that it’s important the spiders see your target keywords in anchor text somewhere on your site. But go easy on page or post links. Don’t nest 15 of them in any one content section. Ignore these principles and you will pay in your rankings. Think less about what you and your team want creatively. I run into this with some clients. 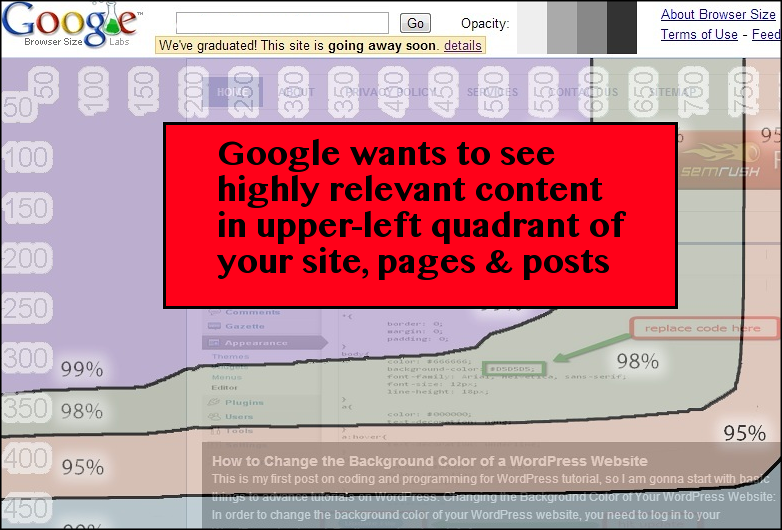 They would rather have their site “look right” than actually follow Google standards for relevancy. Of course they usually pay the price of poor ranks doing so.